This level has medium difficulty. 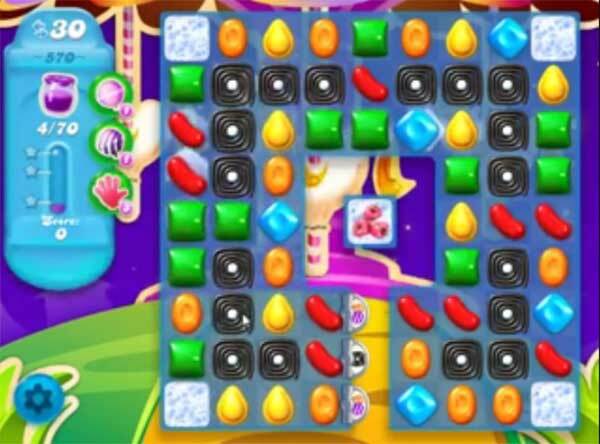 For this level try to play more from bottom and make striped candy or other special candy as you the chance. Combine special candies with each other to spread the jam or play near to Jam candy to spread it to near candies. I am a novice at the game but did it. I have gotten through most except for the center. I’ve tried numerous times and all it does is get frustrating. Cannot get the center block! Am not going to pay money to get past this level!!! !